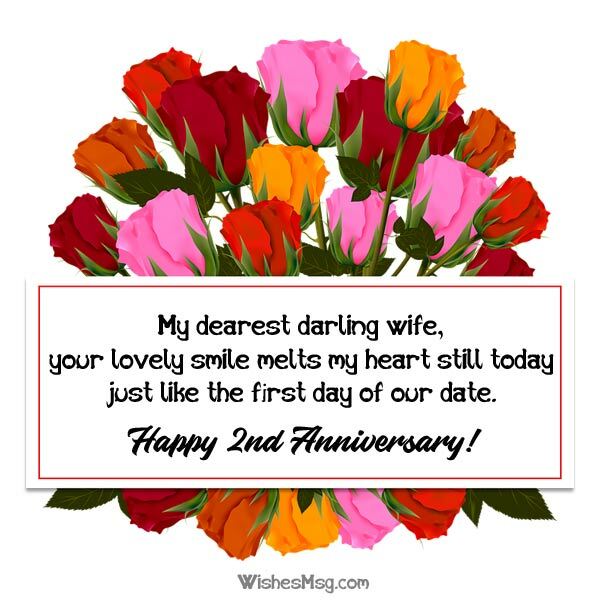 2nd Anniversary Wishes : Completing 2 years happily with your partner is a great achievement of your marriage. You’re now both much close and know well each other. Maybe there’re few ups and downs in these 2 years but that all that make your bonding strong is your love. 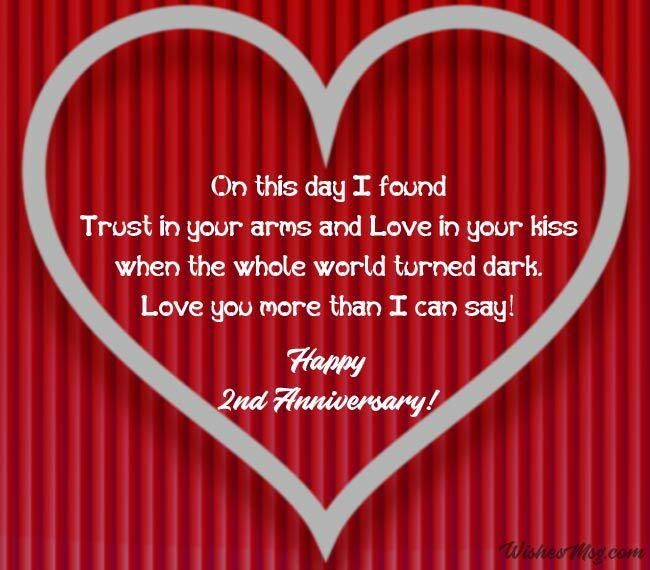 2nd anniversary is another milestone to celebrate and make your partner feel how special he/she is for you. 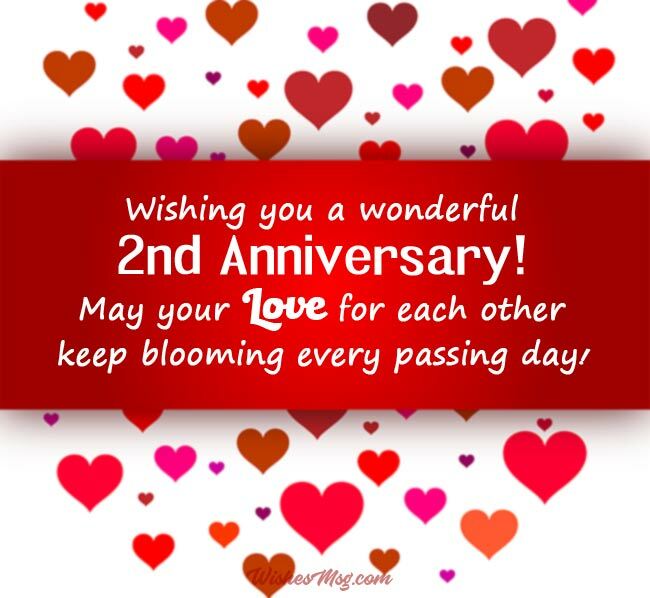 We’ve compiled here romantic and lovely 2nd anniversary wishes and messages to let your partner know what you feel for him/her. You may also like to read our wedding anniversary wishes wording ideas and sample. It’s our 2nd anniversary baby! As long as I’ve your love, I’m the happiest person in the world. Can’t think life without you. Always be mine. As I remembering the sweet memories of our relationship in these 2 years, nothing seems to be as wonderful as the bonding of love we share. Happy Anniversary Sweetheart! It is quite difficult to find out an accurate balance of thoughtfulness and romanticism in your wishes and messages. 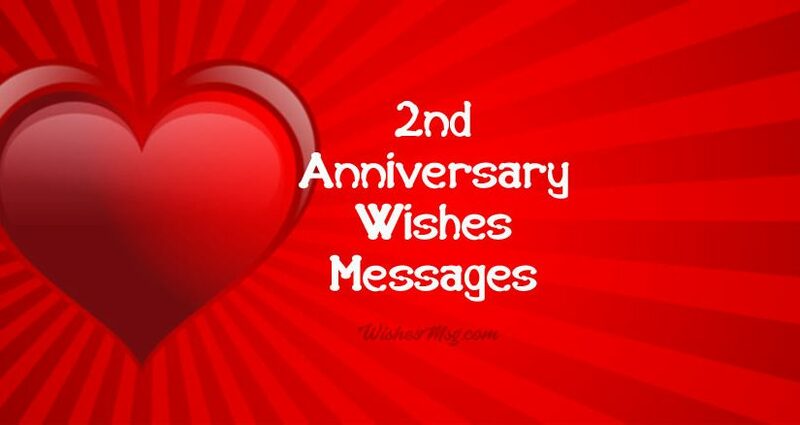 As we understand what importance 2nd anniversary holds in your life, we have tried here to bring unique and beautiful 2nd anniversary wishes and messages for husband, wife, friend, girlfriend and boyfriend. Select your choice of wishes and messages from the above and make your loved one feel special and show them your heart out.